We have to admit that a cabinet has a lot to do with the entire look of a home. 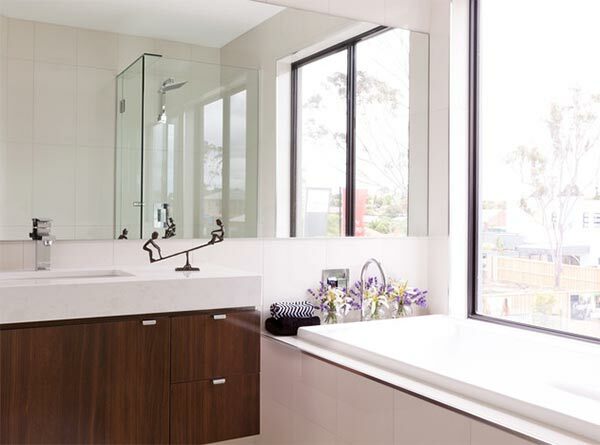 Yes, aside from its function to store stuffs, it can also be an addition to the design and appearance of a space whether that is a bedroom, living room or bathroom. 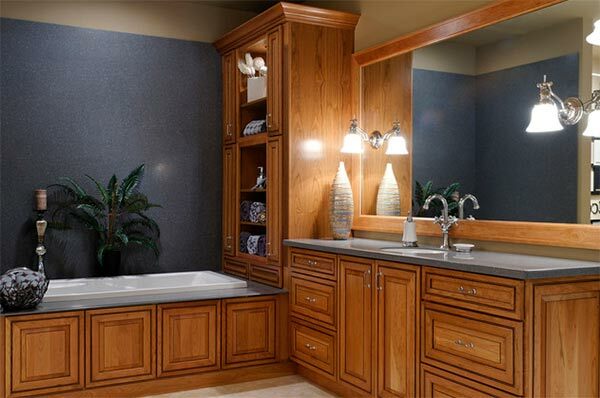 Cabinets have different finishes and are usually made of wood. But some cabinet retain the natural feel of wood. 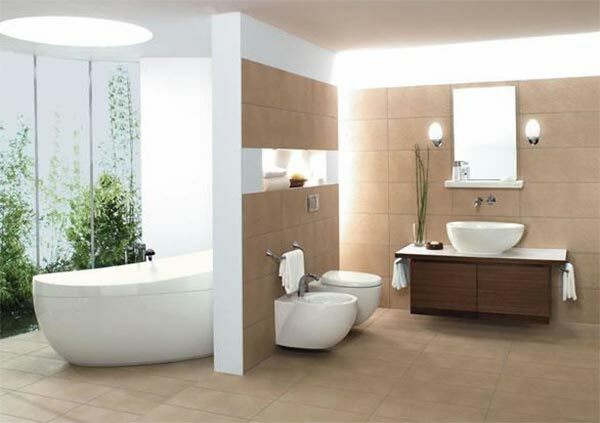 Doing that could actually bring some natural feel to the home and could add some warmth to the aura of a space. 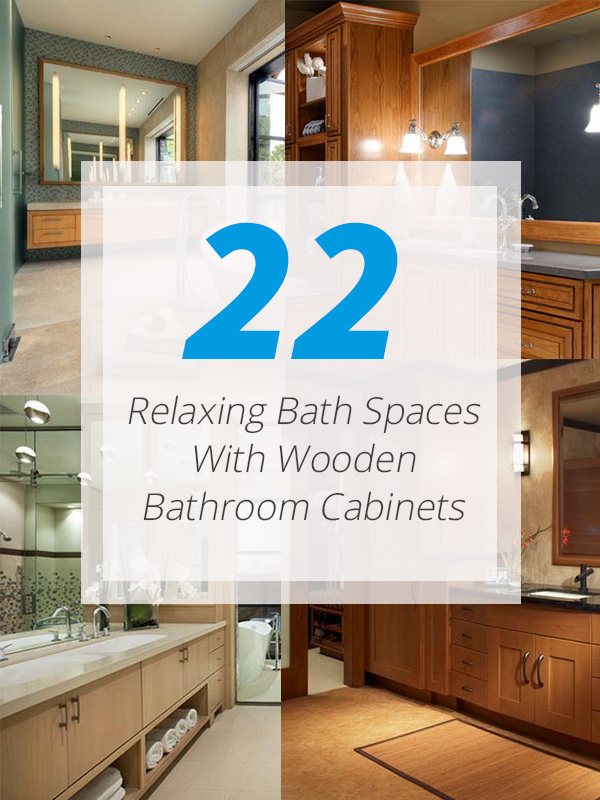 There is something about wooden features that set it apart from other materials. 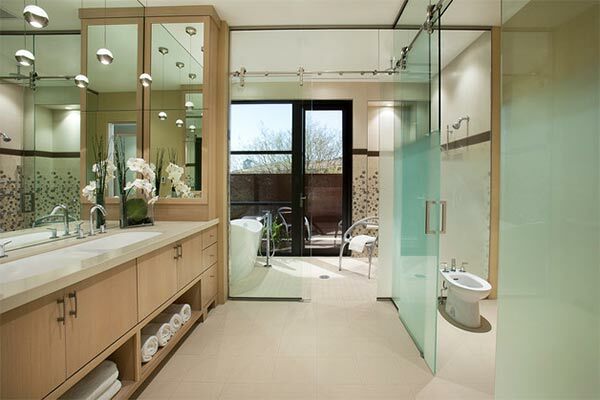 It seems like a perfect mirror of our environment when used for the interior of the home. 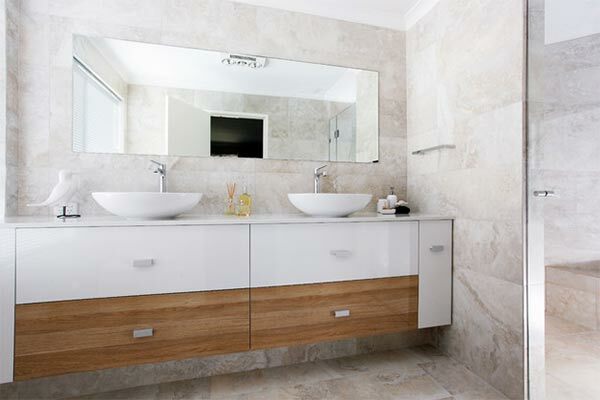 Hence, we collated some bathroom designs using wooden cabinets. Come take a look. 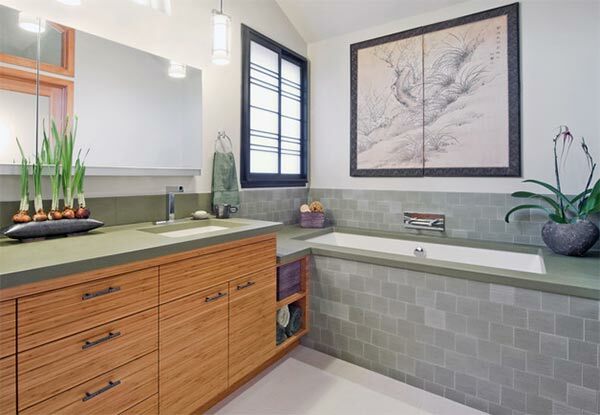 Placed against a mosaic wall, this cabinet looks beautiful in this open bathroom area. 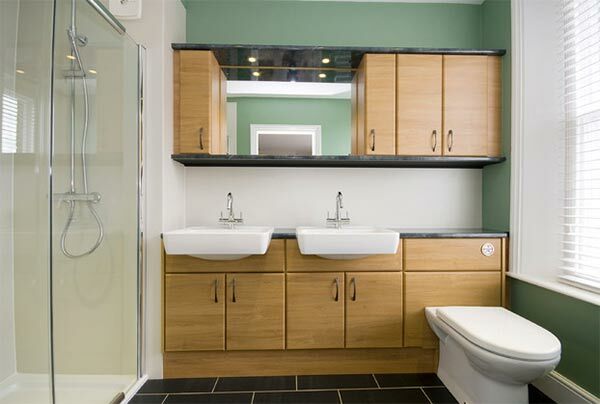 A common design of cabinets wherein the upper and lower ones match each other. I like the design of this one. It looks solid but can actually store items inside it. 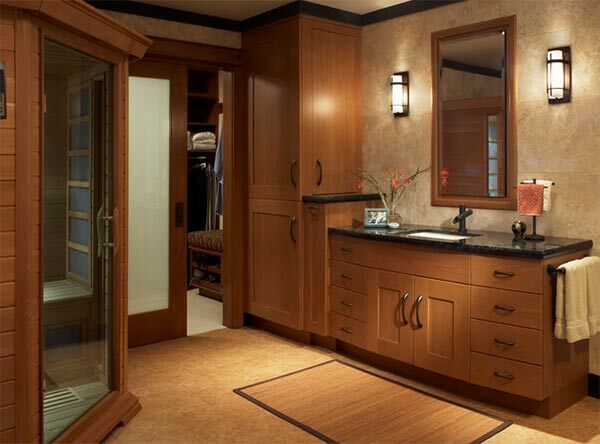 A traditional bathroom has a tall cabinet on the countertop for other much needed storage space. 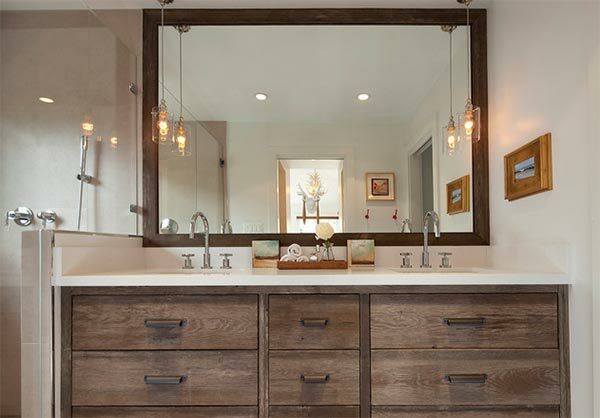 This has a subtle rustic look because of the finish of the wood. 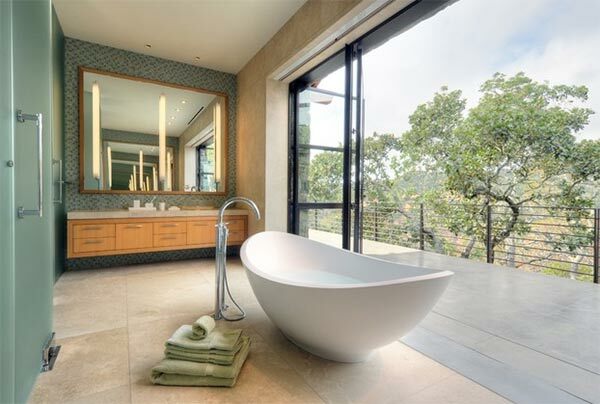 A modern bathroom would look neat with a cabinet like this one. I am a fan of lighter wood like this because it looks just lovely! Instead of using wooden finish for the entire cabinet, this one combined it with matte white. 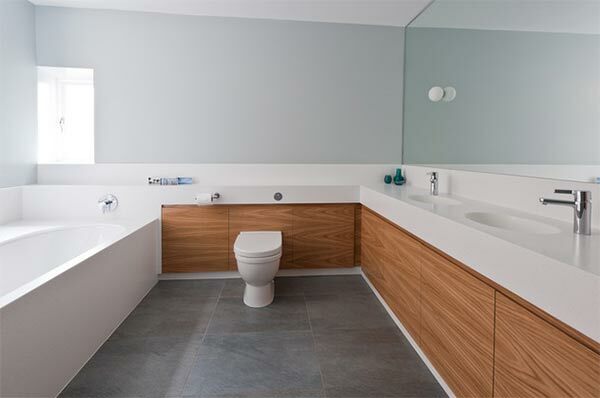 Beautiful contemporary bathroom with so much storage space! This one has a Zen appeal and a small yet useful wooden cabinet. 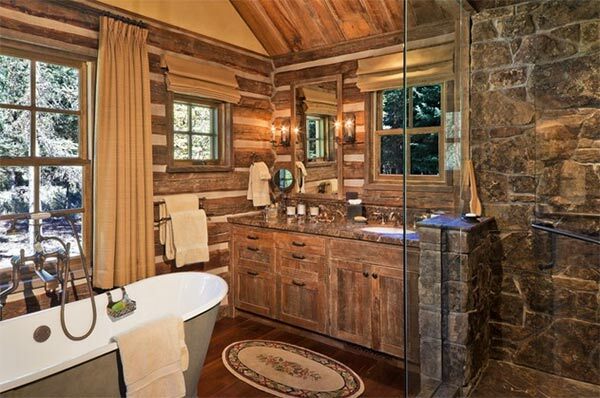 A rustic bathroom area with darker wood colors. Just neat and orderly using an L-shaped cabinet and countertop. 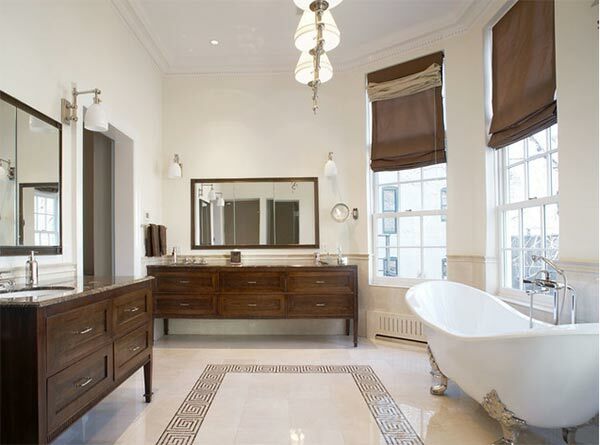 You’d love the details of the craftsmanship of these cabinets in the bathroom. What an appealing wooden cabinet! It matched well with the blue tiling. 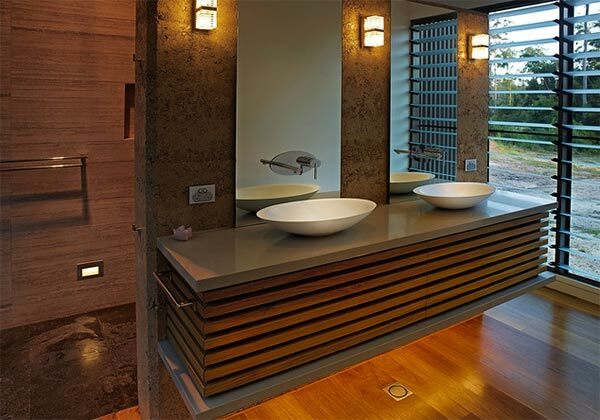 Definitely a traditional design for a wooden bathroom with dark finish. 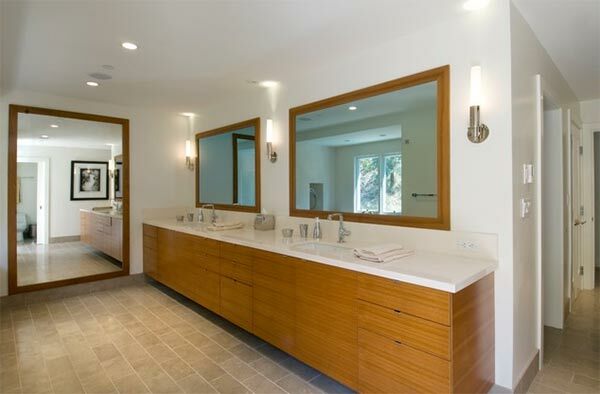 A simple handle-less wooden cabinet sits in this bathroom. 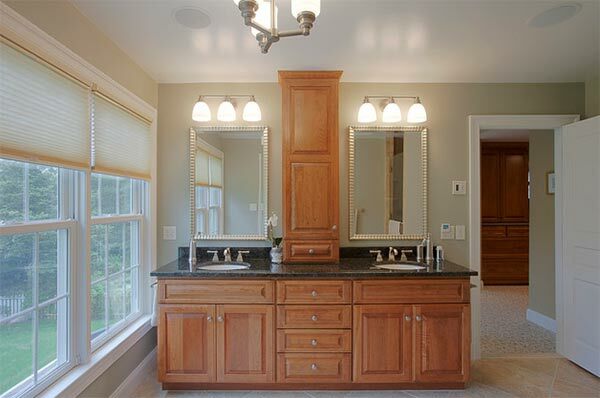 If you don’t want to add cabinets below the sink, then place them at the middle like this one! 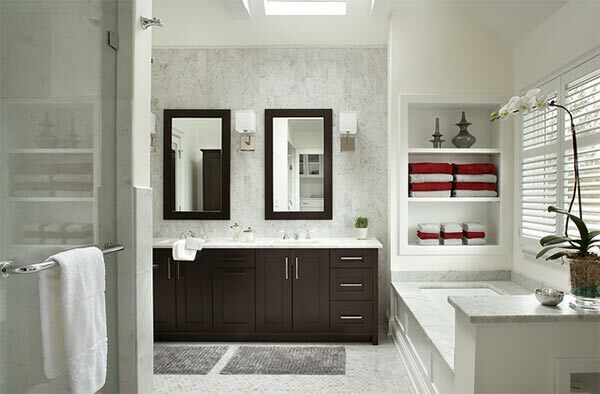 A gorgeous bathroom cabinet in this contemporary-transitional space. Give your cabinets that furniture look by letting them sit on legs. 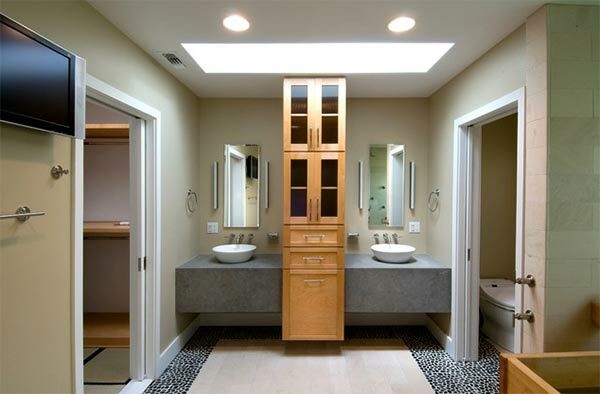 I can feel the drama of this space through its lighting as well as the design of the cabinets you can see here. Just lovely! Aside from the look of the cabinets, I like the decors too. 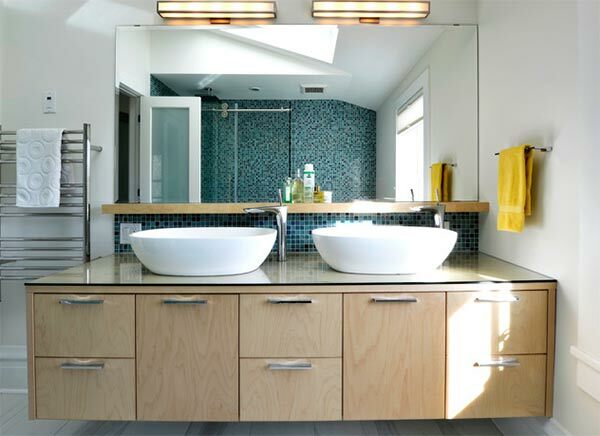 You can certainly make use of the space under the sink like the cabinets in this one. What can you say? 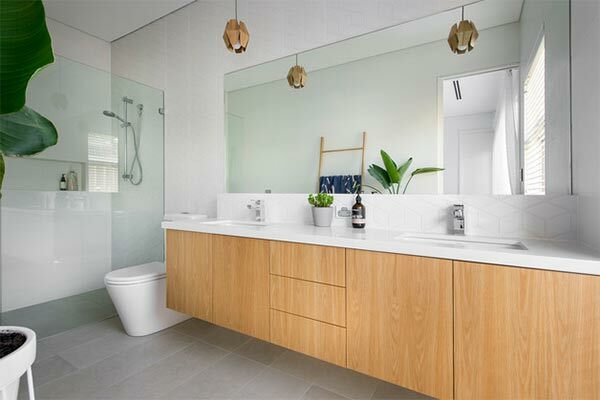 The bathrooms have different designs indeed but we can certainly sense the beauty a wooden bathroom cabinet can give to every area. 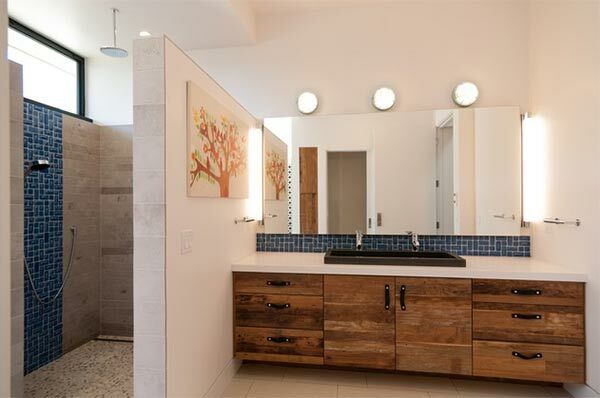 Even the designs of the cabinets vary too but they all give a similar appeal and beauty to the atmosphere of the bathrooms above. So, which one is your favorite?